Looking for the right remote control? Use our wizard to find which remote matches your equipment perfectly in just a few simple steps. One For All is the worldwide leader and inventor of universal remote controls to suit any lifestyle. 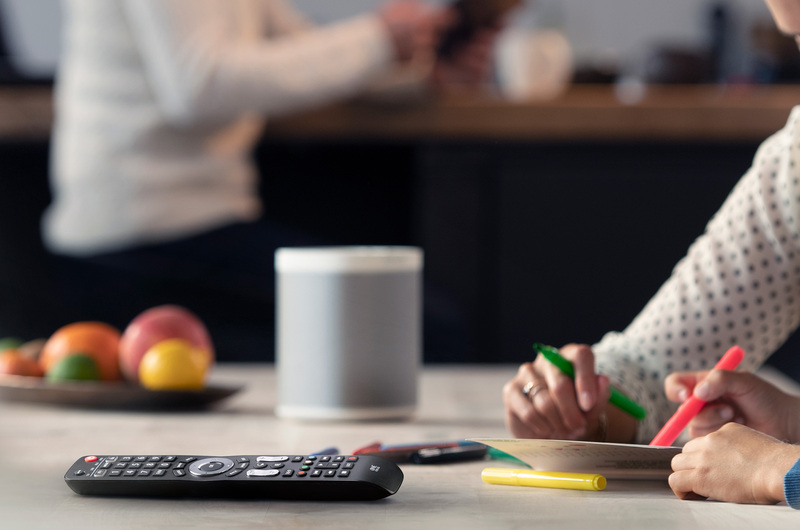 We aspire to make your life easier by putting you in complete control of your home entertainment appliances, giving you peace of mind to enjoy your home to the fullest. Clutter on the coffee table? Not knowing which remote to use? Sounds familiar? 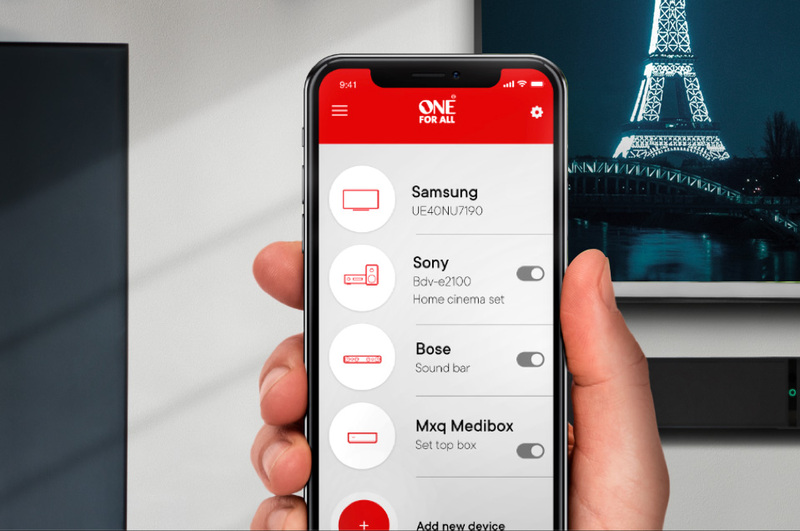 A One For All universal remote control conveniently connects up to eight devices in your house at once. Uniquely this one handheld remote replaces the remotes for your TV, Blu-ray, streaming devices like Apple TV, soundbar, DVD, game consoles and media center. With 30 years of expertise and technical know-how, our One For All Dutch design lab continually creates meaningful and stylish universal remote controls which are smart, functional and reliable. Our Designovation program believes design should be rooted in user insights inspired by consumer trends and enabled by proven technology. State-of-the-art technology aims for our remote controls to work 100% on future devices. Our ultramodern remote controls are fully compatible due to our world’s most complete database of over 335,000 device codes covering over 7000 home CE brands worldwide. The database is continuously being updated, which means you can keep up with the latest hi tech trends, now and in the coming years. Need help finding the right remote for your home? We have a remote control guaranteed to work in your home situation. 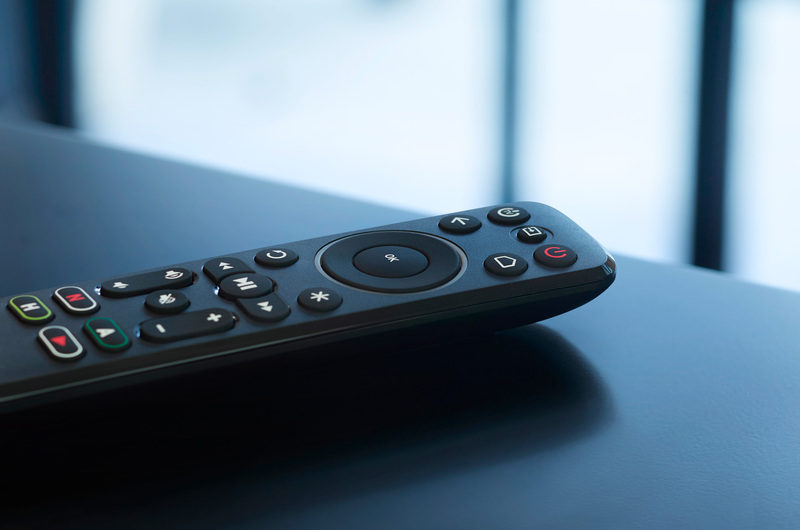 Click on ‘choose the right remote’ to find out which remote matches your AV equipment.